Voice Changer Software for PC that can change your voice in real time, compatible with Skype, Discord, any VoIP, and other audio programs. 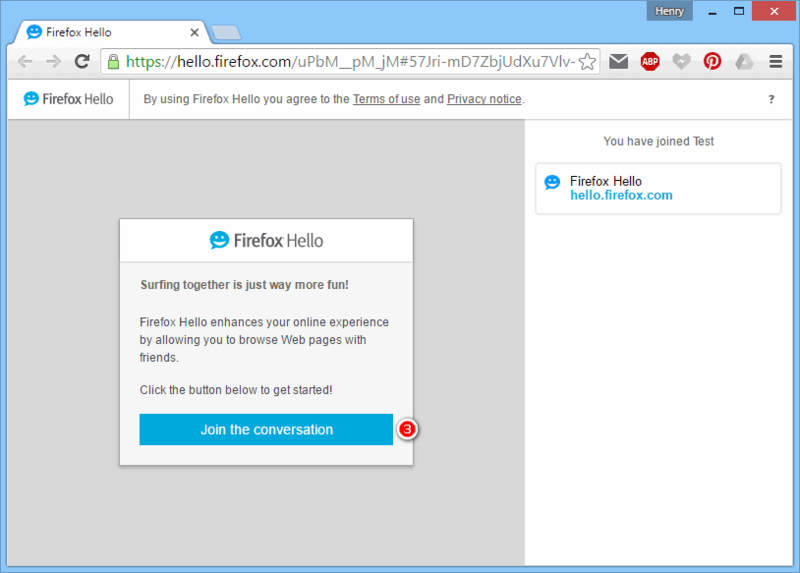 With Firefox Hello, anyone can browse webpage together as well as join video and voice conversations online - directly in a browser. Its review is quite good and the function has been in in beta since October 2014. 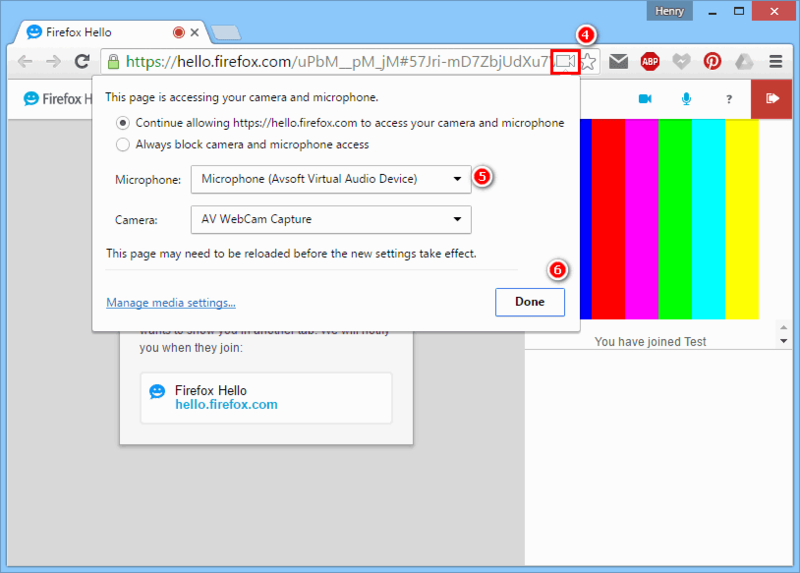 All you need are a webcam (optional), a microphone, and the latest version of Firefox to call friends who are on WebRTC-supported browsers like Firefox, Chrome, or Opera. Receive an invitation? In this tutorial, Voice Changer Software will guide you how to join a conversation and have fun talking with your friends in different voices, by imitating any voice you want. 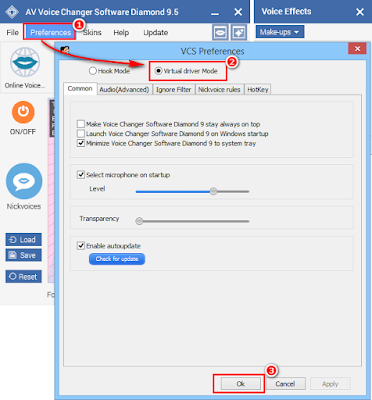 - On AV Voice Changer Software Diamond 9.5 (VCSD 9.5)'s main panel, click Preferences (1). - In VCS Preferences window, choose Virtual driver Mode (2). 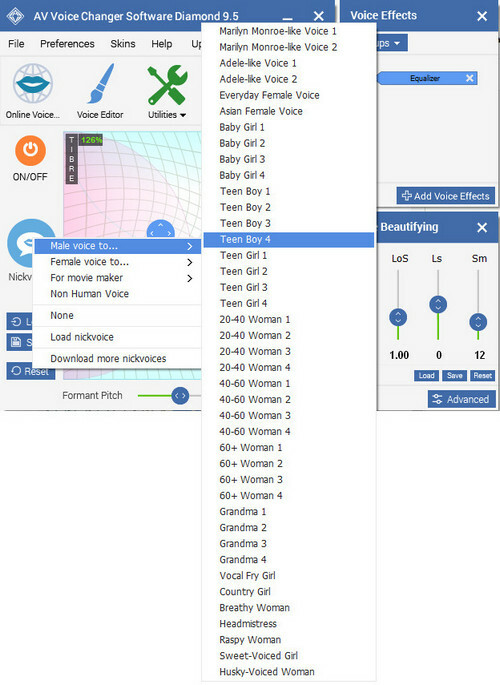 - In the software, you can find the Nickvoices - which are the different built-in voice presets for quick adjustment. It can transform any voice of any age from male to female, vice versa and even non-human voices. - Besides, on the right panel, you can freely modify your voice with Pitch, Timbre and Formant Pitch. This is the most creative way to use the software. More information can be found at this guide: How to use Voice Morpher in VCSD9. - Remember to visit Add-on Store for various voice effects and specific new Nickvoices such as President Obama, Justin Bieber, Batman, Morgan Freeman, etc. 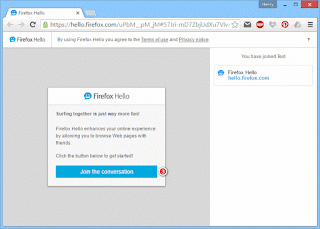 - When receive a Firefox Hello invitation link, open that link. 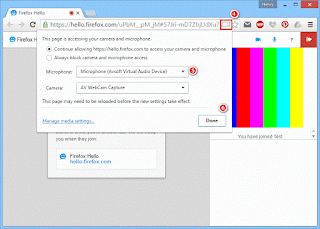 You can use Chrome, Firefox or Opera but in this example, we will use Firefox. - Click Join the conversation (3). - You will be asked for permission to share your camera and microphone (4). 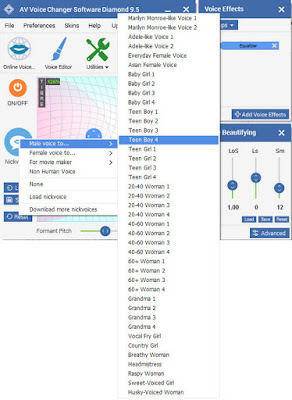 - Expand Microphone drop-down list and choose Microphone (Avsoft Virtual Audio Device)(5). And now, your voice has been changed and ready for a funny voice chat. You can talk and mimic any voice out there with high quality voice algorithm.